Recently the nice folk at Boohoo got in touch, asking me to put together a Halloween look for their blog. I'm a Halloween loser, so obviously I said yes - & I'm pretty pleased with what I came up with, so I'm sharing it here too! I'm a big fan of scary Halloween makeup, but sometimes you just don't want to cover yourself in fake blood and look disgusting. 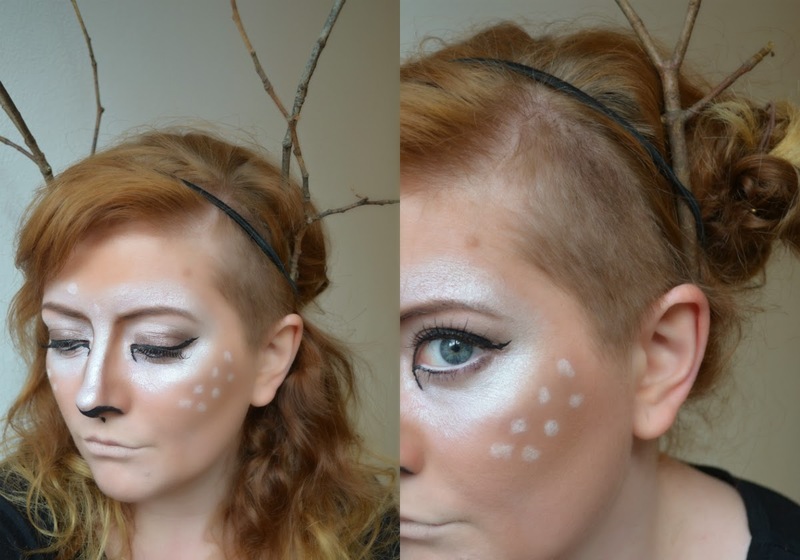 Instead, here's a cute Bambi-inspired look, that uses items you're likely to have in your makeup bag already. 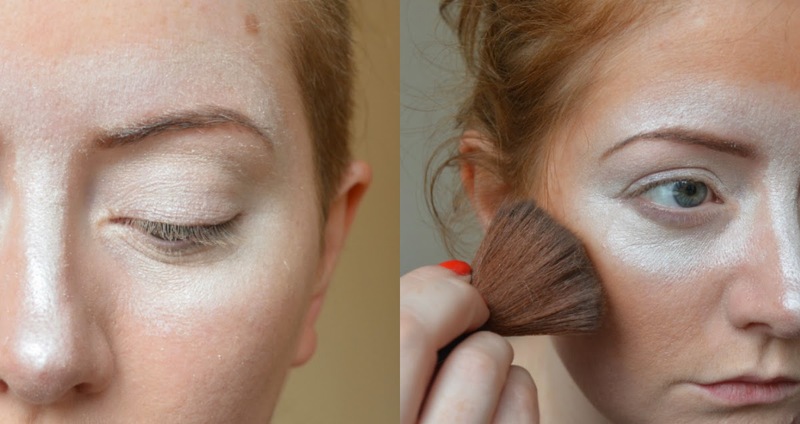 Start by using the white eyeshadow to make a mask-shape over your eyes and down the bridge of your nose. You want the white to be quite bright, so apply with your fingers and layer on the colour. Then use a brush to brush the bronzer all over your face, blending where it meets the white shadow on your cheeks and forehead. Use a small makeup applicator to brush the bronzer down the sides of your nose. Use a brown eyeshadow (I used an eyeshadow pencil) to colour in your brows. Still using the dark brown shadow, add it to the sides of your nose and to your cheekbones (blending with your fingers). 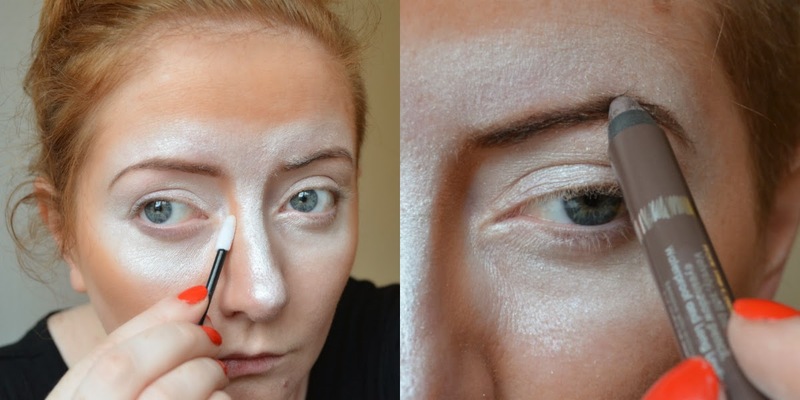 You don't want any harsh lines with this look, so just keep blending until it looks nice and natural (Halloween-natural, that is). Use white eyeliner to dot spots on your cheeks. 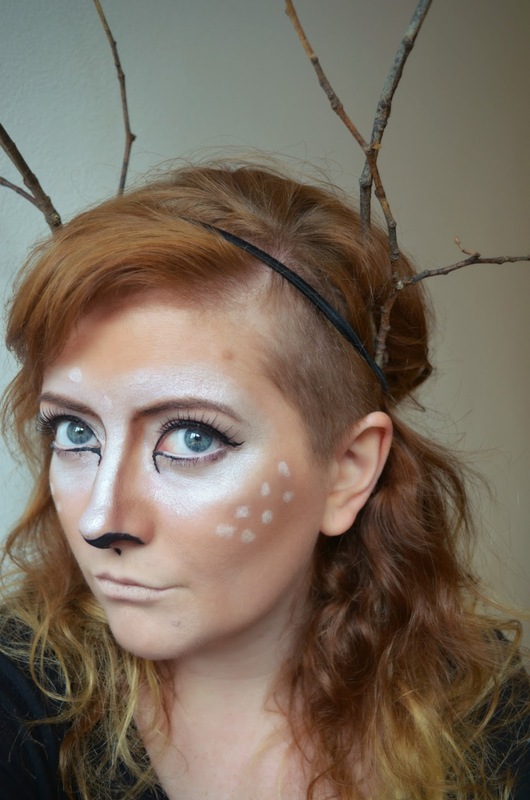 Get your black eyeliner and draw on a cute doe nose. I used liquid eyeliner for this, but if you aren't used to using this, a kohl pencil might be easier. Now move onto your eyes! Use the dark brown shadow on your lid, then use liquid eyeliner to make a large cat's eye. On your lower lash, line the inside corner of the eye, and bring the liner down in a little flick. Use short strokes for this, and if necessary - use a pencil first, then go over with liquid liner. Put on false eyelashes and mascara. And that's it! I gathered some twigs and used a hairband to slot them into my hair - you can either wear your hair down and messy, or tie your hair into little ear-like buns. This makeup would be really cute with a polka dot brown dress, or a vintage-inspired tea dress. I hope you like that! If you're looking for more Halloween-inspiration, check out the other looks on Boohoo's blog or take a scroll through all of my other Halloween posts. Have fun! I always like that this makeup can double up for Christmas. Great idea with the twigs! really LOVE this idea Juliet! Looks so good with your hair colour too!